We received hundreds of evacuees, and adults engaged in wartime employment. Preparation had been made to keep us safe with shelters, and to warn us with sirens; to keep us alert with wardens. 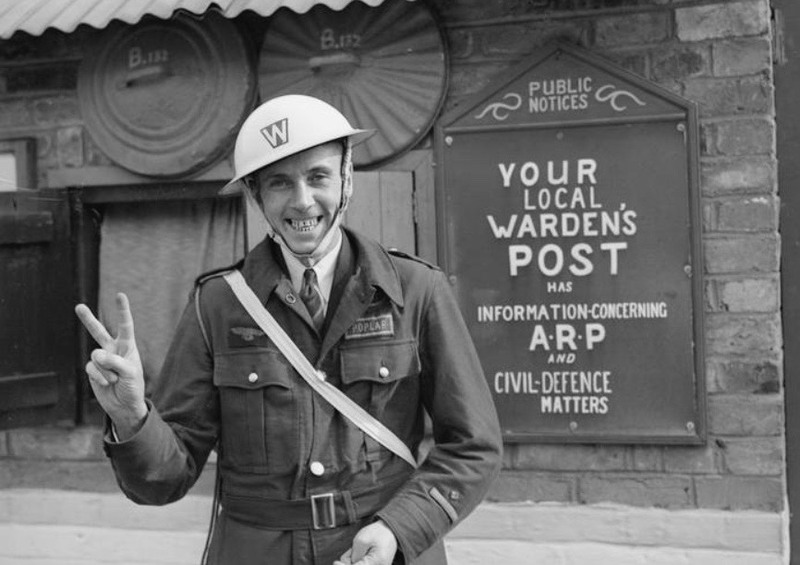 With an expanded fire service and rooftop look-outs, there were land girls and timber jills, not to mention the Home Guard. After it was all over we celebrated with street parties. Each was linked to the master siren on the Town Hall roof. On "Raiders Approaching" the siren wailed; once the warning was over – "raiders passed" – the siren sounded a steady note. 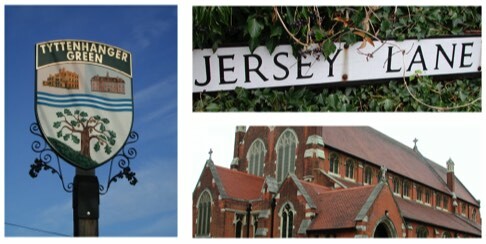 They remained in place until the 1960s, being used for the fire service, and tests for possible future conflicts. Tell us if you know of other locations. 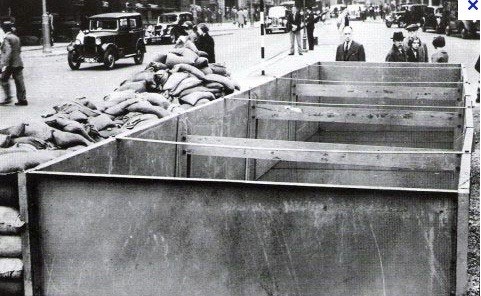 The function of a street shelter was to provide some measure of protection for people who were out in the streets, usually walking to and from works or shops. They had a blast shock entrance and a separate emergency exit hatch. 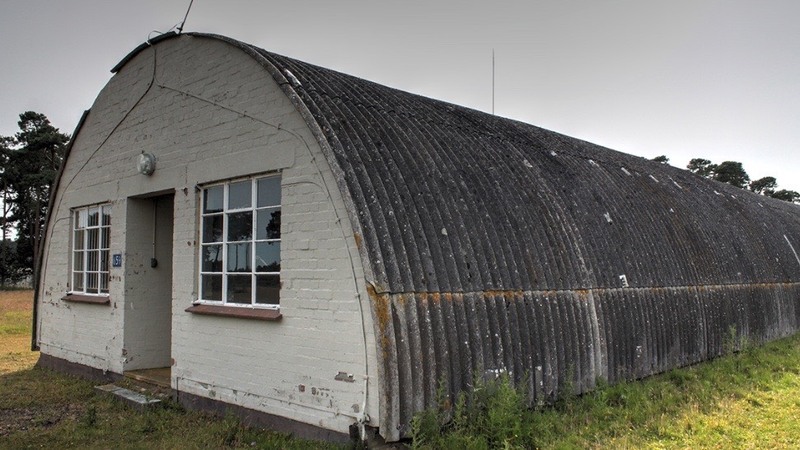 Each Home Guard unit had its own reporting base and training hut. Nearby ground was used for trench digging and exercises. 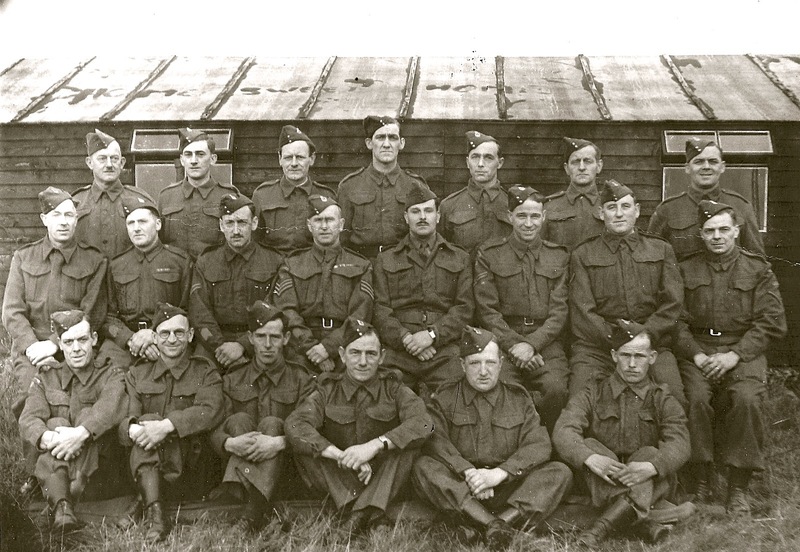 The above photo shows the Beaumonts unit at its hut in Central Drive. 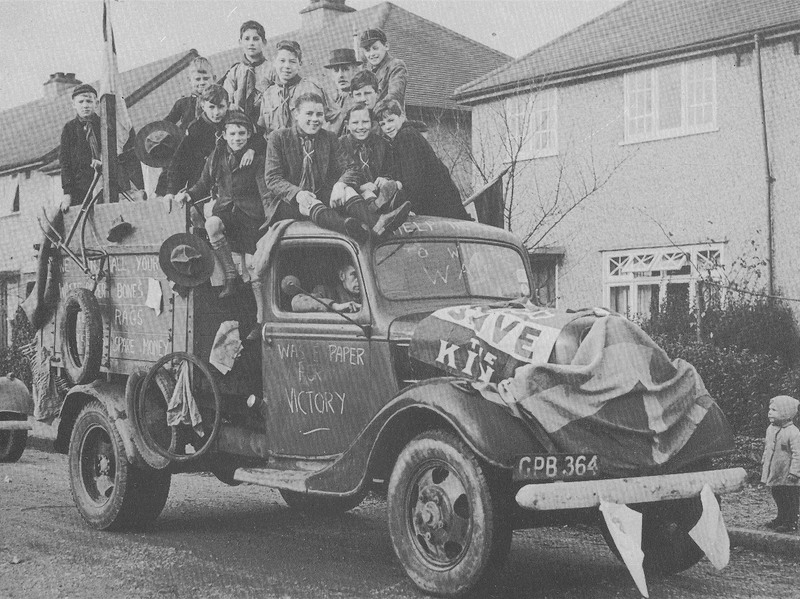 It was such a relief when Victory in Europe (VE) Day arrived. 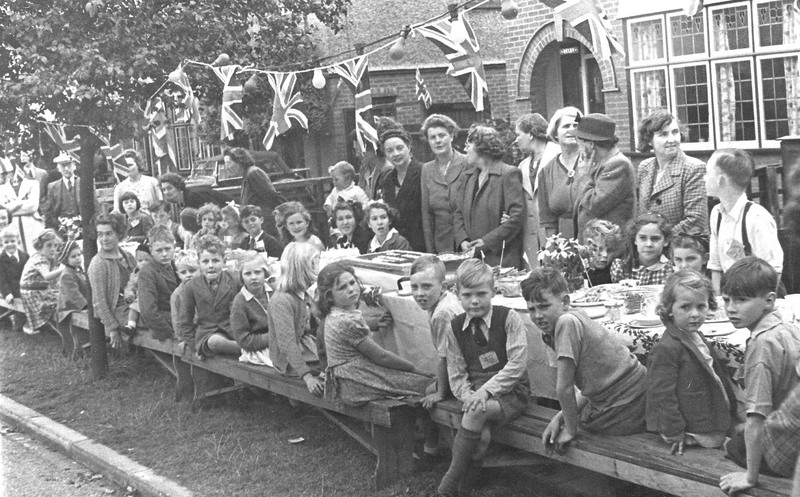 Residents in many streets held street parties – often repeated a few years later for the Coronation in 1953. A major risk is the dislocation of the piped water supply during a bombing raid. The fire service was responsible for placing and keeping filled a number of tanks. Some were rectangular, as shown in the above photo, while others were circular. A few of the shelters, sometimes referred to as tunnels, began as open trenches in 1938, and were subsequently covered over. Equipped with bench seating and sometimes bunks they were fitted with electric lights and a telephone. 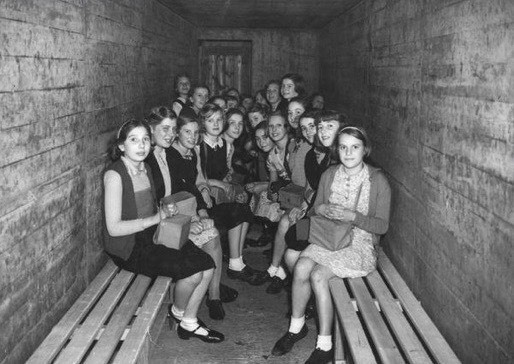 St Albans was not heavily bombed; consequently the shelters were not often used. 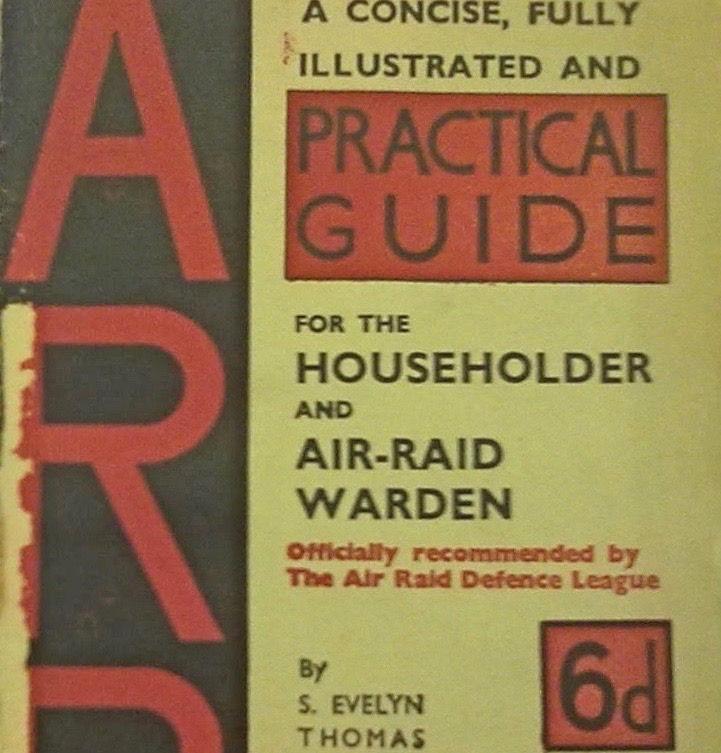 The air raid precautions (ARP) warden coordinated volunteers in his/her area. Simple buildings were erected for the purpose, some of which were improved over time with heating. All had a light and telephone, and some were protected with sandbags. 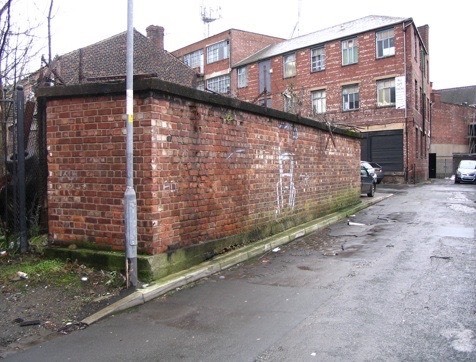 Fleetville Rec, adjacent to pubic toilets..
From 1939 almost everything changed; the way people travelled; what and how much they ate; the timing of their routines; how much they paid and were paid; new emergency laws and rules governed what we could do. People took on new and extra roles. Most schools went part-time for a while, because they were sharing accommodation with incoming children and teachers. Other than a few memories and memorabilia, little remains of those few years between 1939 and … well, it didn't all change back to normal in 1945. The utility and restricted lives improved only slowly. Even the camouflage applied to a few buildings, such as Beaumont Works, is hardly visible now. Discarded road blocks can still be found; nissen huts continued to find uses; and at least one wartime nursery in the district is still being used as a community centre. 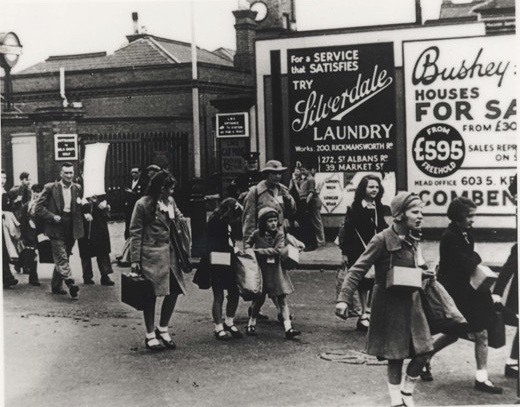 Evacuees from a London school arrive at Watford Junction. 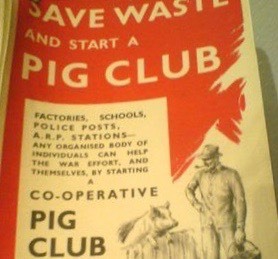 Pig Clubs gave residents a share in additional meat. 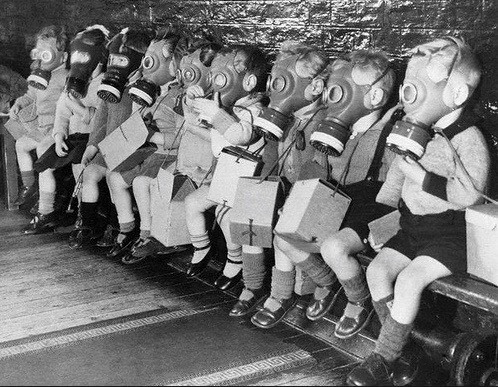 Gas masks were given to all to protect against possible gas attacks. Nissen huts were simple to erect and widely used. 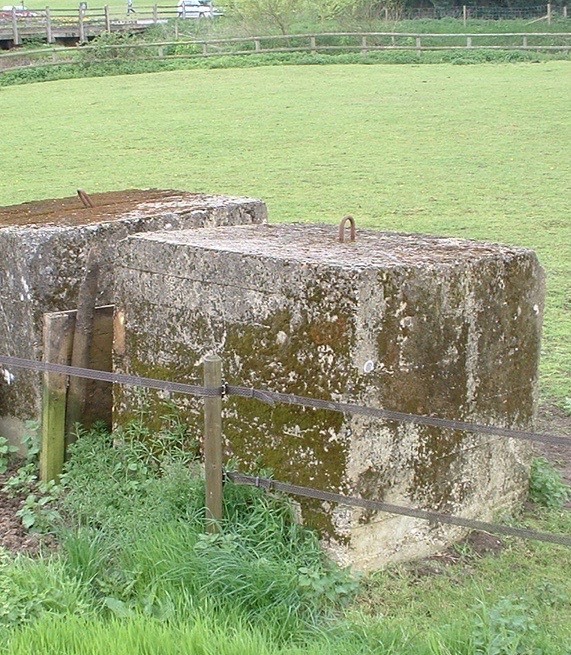 Concrete blocks were placed in roadways in case of enemy tank advance. Advice books, this one written by a St Albans resident. 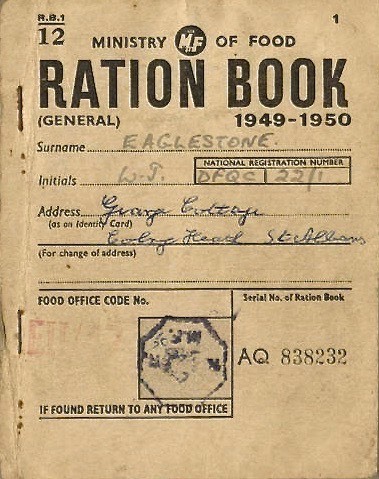 Everyone had their ration books – not restricted to foods. Salvage collections – today called recycling. A direct hit caused the destruction of a house "somewhere in the Home Counties"; actually numbers 80, 82, 84 and 86 Beaumont Avenue. In total four occupants were killed with two survivors from the direct hit on number 82. The Herts Advertiser November 22nd 1940.